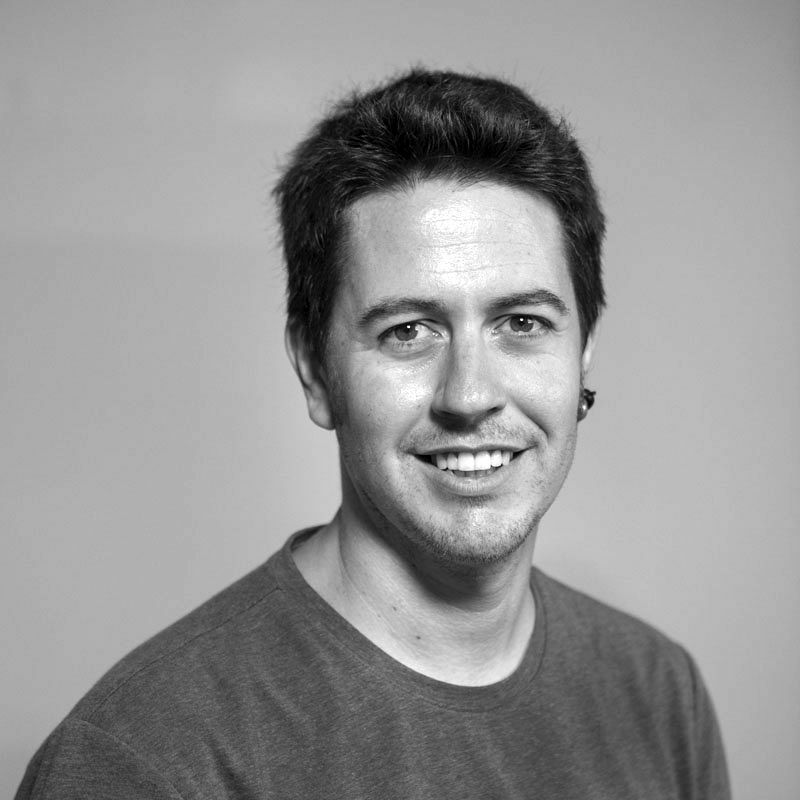 Arnau Monterde, who took his Doctorate in Information and Knowledge Society at the UOC, has since 2011 been coordinator of the "Techno-policy" project at the Communication Networks and Social Change research group of his alma mater's Internet Interdisciplinary Institute. The adjective 'smart' is very much in vogue. It represents the idea that cities can be more intelligent and efficient thanks to technology, and the data that they and their inhabitants generate. Many critical voices have already been raised to warn of the limitations and risks of this technocratic model. The alternative is to make use of digital technologies to strengthen democracy and experiment with new forms of governing the commons. If networked communication technologies are today a dominant reality in our lives, then the city is the venue where they materialise, accounting for many of the conflicts and challenges that exist in contemporary society. If we are to understand the digital city today, we need to understand this set of technological developments that affect it, and that have certain intrinsic relationships (and transformations), in terms of politics, economics, society, urban life and power. In fact, the city, or a particular model of city, is fully immersed in a narrative in which innovation and technological development, spatial monitoring through sensors and the application of artificial intelligence, as summarised in the widespread concept of the 'smart city', is based on a particular (and skewed) vision of technology with one byword in common: any technological development that represents any type of social benefit is seen as politically relevant, innovative and positive. What lies behind the idea of 'smart', though? What lies behind driverless cars or sensors that monitor the steps we take? Is this really useful and necessary for the future of our cities? The adjective 'smart' is very much in vogue, and represents the idea that cities can be more intelligent and efficient thanks to technology, and the data that they and their inhabitants generate. This concept alone allows us to identify some of the vectors of conflict involved in this approach, connected with such fundamental issues as the way in which technology is developed, under what conditions and for what purposes, the business models that exist behind each new innovation, how data are gathered and managed, and above all the public (and urban) policies developed on this basis. And all these issues bring us back to power relationships. There are plenty of critical voices that have already raised the alarm as to the limitations and risks of this concept, which completely overlooks the impacts of its deployment. Ultimately, the smart city is a technological development model based on considerable centralisation and occupied by major international firms, offering solutions that are of questionable application and are hugely expensive, opening up a market within the public sector thanks to the global trend towards an overwhelming belief in technological solutions and limited pushback by society. This conceptual approach comprises a city (and its technology) that thinks for itself, where people are individualised and become generators of data and passive recipients of technological improvements, while building an infrastructure that thinks and structures optimal decisions thanks to incomprehensible models and supposed systems of artificial intelligence. This points the way towards a technocratic model of governance that eliminates the collective dimension of the city, with the general public no longer playing a central and sovereign role, but instead becoming the passive generators of digital information. An approach characteristic of the global economic neoliberalism with which we are already familiar. Morozov, E. (2015). La locura del solucionismo tecnológico (vol. 5.010). Katz Editores & Capital Intelectual. “Ultimately, the smart city is a technological development model based on considerable centralisation and occupied by major international firms, offering solutions that are of questionable application and are hugely expensive”. This goes hand-in-hand with the arrival of the supposedly sharing economy, headed by platforms such as Airbnb and Uber. The economic model remains heavily centralised, and is accompanied by highly questionable democratic quality. These global enterprises based in Silicon Valley here find a new source of urban wealth: a degree of "peer-to-peer" collaboration for greater income distribution. Supposedly "peer-to-peer", because a very significant proportion of Airbnb accommodation belongs to investment funds and/or to a very small group of major property owners, as recently indicated by Eldiario.es. These platforms also serve to heighten local conflicts which are beginning to take on a global scale, such as those linked to mass tourism, runaway housing costs and urban mobility. Once again, the relationship between technology and city is not only a source of conflict, but also exacerbates social inequalities and highlights the lack of regulations in place to address them. Because both of these aspects point in the same direction: the confirmation of the political and democratic limitations of the predominant models of technological development, in which private economic development takes precedence over citizens' rights. No technological development is today free of political intentionality. Technology in the digital era reflects some of the most important power relationships in the global economy. It is no coincidence that the five most important companies on the US stock market (NASDAQ) are in the technology sector: Apple, Google, Microsoft, Amazon and Facebook. Fortunately, our technological spectrum has been hugely increased thanks to the Internet. The network of networks, initially conceived and designed as a distributed space for freedom and horizontal communication, is today a battleground disputed by those who continue to champion this original idea and believe in defending net neutrality, and those who seek to privatise and control some of its elements or protocols. The Internet is today also a battleground, above all in political terms. 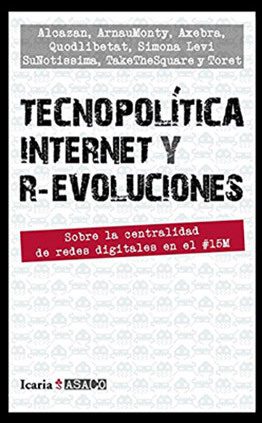 Over the last decade we have seen the emergence of mass public mobilisations in which social media and the Internet have served both to overcome limitations on access to the mass media and to generate emergent forms of protest, such as the 15M movement in Spain's major cities, and Occupy in the USA. One of the main examples at the global level is provided by the feminist movement and the strike on 8 March, with the structuring of global networks for collaboration, coordination and dissemination of the protests. Unfortunately, major governments and global leaders have likewise seen the relevance of networks in communicating their projects, and have begun to colonise them for their own benefit. Such communication strategies raise a number of risks for democracy that we cannot ignore. Another major threat of our networked society lies today in the sphere of data, the primary wealth-generating commodity of our time. Most of the data of the world's citizens lies in the hands of just a few companies, that have already found fruitful business models by marketing data for commercial and political advertising. This is what is now being referred to as surveillance capitalism, a new wave of capitalism based on data, used to control the industry as a whole. Zuboff, S. (2019). The Age of Surveillance Capitalism: The Fight for a Human Future at the New Frontier of Power. PublicAffairs. “No technological development is today free of political intentionality. Technology in the digital era reflects some of the most important power relationships in the global economy”. The crisis in Western democracies has to do with corruption, mistrust of public institutions, their inability to address the main collective problems and the growing social desire to open up relevant spaces and frameworks for political participation that go beyond electoral events. This desire for participation is thankfully also seen through numerous expressions of collective action: mobilisations, initiatives, legislative proposals, campaigns, etc. Numerous city projects and initiatives are emerging to broaden the spectrum of democracy, experimenting with new ways of governing the commons, in which digital technologies have a fundamental role to play. In the face of the growing threats to democracy from a particular model of technological development, the need is to structure a new political relationship with technology, to open up channels of political participation and devise mechanisms allowing the general public to take part in the process of debating and building our collective space. However, this demand must be accompanied by policies that serve to guarantee fundamental rights and address the democratic challenge of recognising and managing urban conflicts. The democratic city will ultimately represent a model of development that, while acknowledging the central role of technology collective action, focuses on democratic practices, and on actions, policies and technological developments placed at the service of the collective, in order to make our cities a more habitable, humane, creative and affective place, offering guarantees in terms of wealth and wealth distribution. One could in summary state that the first challenge faced by cities in the field of technology and democracy is to be capable of generating their own sovereign, democratically controlled technological infrastructure, based on a commitment to free and open technological solutions, with fully participatory models of governance. In fact, any technological development financed by the public sector should be open source (with open source licences), as a form of social return. “The need is to structure a new political relationship with technology, to open up channels for political participation, and to devise mechanisms allowing citizens to take part in the process of debating and building our collective space”. Technological solutions of such characteristics should also be capable of structuring democracy itself; generating secure and robust digital spaces that guarantee such basic rights as anonymity, security and freedom from manipulation, and that provide unrestricted communication to manage communal aspects of the city. The Decidim project, the digital platform for political participation developed by Barcelona City Council and which has now been extended to more than 50 cities, is making clear progress in this direction, restoring levels of technological sovereignty and exemplifying a new relationship that fully guarantees data. The second challenge is that cities must become true laboratories of genuine democracy, based on the deployment of public policies focused on restoring the knowledge and intelligence that reside throughout our social fabric, so as to resolve the main communal problems. This must be done by guaranteeing basic rights, identifying the dynamics of inequality and centres of power, and fearlessly opening up forums for autonomy and social self-organisation. As Silvia Federicci states, we need to restore the relationship between politics and everyday life, between production and reproduction, so as to hand politics back to the city and its inhabitants. The third challenge lies in understanding the global city and the economic dynamics, financial flows and large-scale policies that transcend and go beyond local capacities for self-government, with the aim of building confederated networks of cities to offer democratic responses to conflicts that transcend the local level. 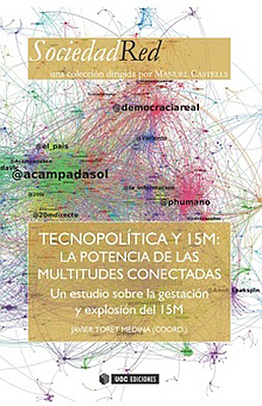 In short, cities in the digital era remain venues for the development and expansion of global capitalism and its mutations in adapting to new media, but they are also venues for resistance, cooperation and hope, experimentation and techno-political innovation, with new models and practices intended to achieve genuine democracy. Sassen, S. (2007). Una sociología de la globalización. Katz Editores.